The Central Gulf Coast of Florida is known for its islands. In fact, you might already know one or two of their names without realizing it. Did you know that Clearwater Beach was an island? Most of the popular beaches along our coastline are situated on barrier islands, those little strips of land that sit just off the mainland. 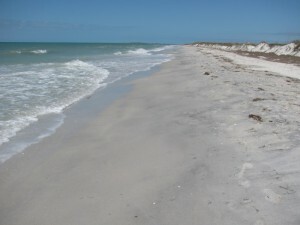 All of the beaches from Clearwater Beach down to Fort Desoto State Park are found on just such islands. Those fantastic stretches of beach are known for their beautiful white sands and sparkling turquoise waters. But what about some of the other islands nearby? Read on, because the Central Gulf Coast of Florida has some great island surprises in store for you. 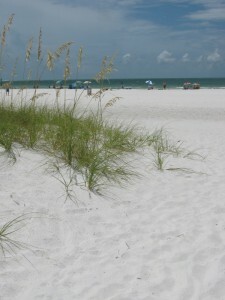 You will find Anclote Island at the northern end of the Central Gulf Coast. The island sits just off the mouth of the Anclote River. Anclote Island is roughly one mile off the coast, and it has no bridge leading to it. If you want to visit the island, you have to go by boat. Thankfully the waters of the Gulf of Mexico are calm, and you can make the journey in pretty much any type of craft. You can also catch a ride on a tour boat out of Tarpon Springs, a tourist town located on the Anclote River. Just let them know where you want to go ahead of time and they will take you out to Anclote Island for a visit. The southern end of the island has a lighthouse you can view, although its stairs are no longer open for climbing. Otherwise, the island is a wilderness. Why visit a wilderness? Several miles of beach almost entirely to yourself is the answer. You will see wild palms ruffling in the breeze while you collect shells from shoreline a bounty not found on the more frequently visited beaches. 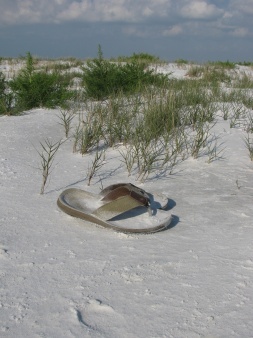 The north tip of the island has a swath of some of the softest, whitest sand you will find anywhere. If you enjoy wilderness areas, Anclote Island is a must see destination on the Central Gulf Coast of Florida. Weedon Island is situated on Tampa Bay, one of the best-known bodies of water on the west coast of Florida. While Tampa Bay does not really have beaches, Weedon Island is still a worthy destination. You will find a wilderness park on the site with boardwalks that weave through the various types of mangroves along the shoreline. A historic site has been excavated at the park, close to the parking lot. The park also boasts a large nature center with an outdoor garden. Despite all these features, the park is known for something else; its fantastic kayak trails. 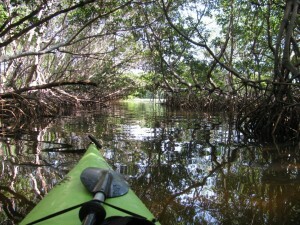 Weaving throughout the mangroves is a waterway suitable for kayaks and canoes. This popular attraction is the longest kayak trail on the Central Gulf Coast. Part of your waterway journey will take you past a panoramic view of Tampa Bay itself, with the city of Tamp visible in the distance. You will also pass by and under the boardwalk trail leading hikers throughout the mangroves. The convenient kayak launch dock also has a popular fishing pier that makes good use of the currents that flow in and out of the park at high and low tides. If you enjoy hiking or kayaking in a natural Florida setting, then Weedon Island might become one of your favorite Central Gulf Coast islands. 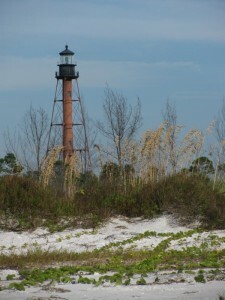 Honeymoon Island is one of the most popular destination along the Central Gulf Coast of Florida. The island offers a perfect blend of developed and natural coastline. A very large parking area accommodates the high season beach traffic along this very long beach. A concession stand sits at the south end of the parking lot. If you have a dog, this is the beach for you, with a dog beach at the south end of the island. You will need a leash but this is still a great place to introduce your pooch to the Gulf of Mexico. The eastern side of the island has a great Nature Center, a playground, and a long nature trail. The nature trail leads past nesting osprey, great horned owls, and bald eagles. You will also see gopher tortoises and armadillos along the trial. The most visited feature, of course, is the beach itself. It is a long island, with only the southern end developed for tourists. However, you are free to walk northward, immersing yourself in the natural coastline. The beach is beautiful white sand most of the time, although rougher weather will sometimes expose the small coral rocks underneath –as well as a lot of great seashells! Walking to the northern tip of the island is not a hike for beginners, especially in the full heat of summer. If you do make it to the northern end, you will be treated to one of the most pristine coastlines of powder-soft white sand the Central Gulf Coast has to offer. Caladesi Island may be the most idyllic of the island destinations of the Central Gulf Coast of Florida. Formerly a separate island, a storm rearranged the sands and connected the island to the barrier island to the south. What is the island to the south? It’s Clearwater Beach! While that makes walking to Caladesi Island possible, it doesn’t make it easy. The walk from Clearwater Beach is a long one, another hike you might want to consider carefully if summer is in full swing. However, armed with a water bottle or two, you can make the hike up to Caladesi Island along some of the most beautiful coastline in the world. Soft white sand, sea shells, palm trees, and long stretches of bird sanctuary will mark your journey as you head northward. 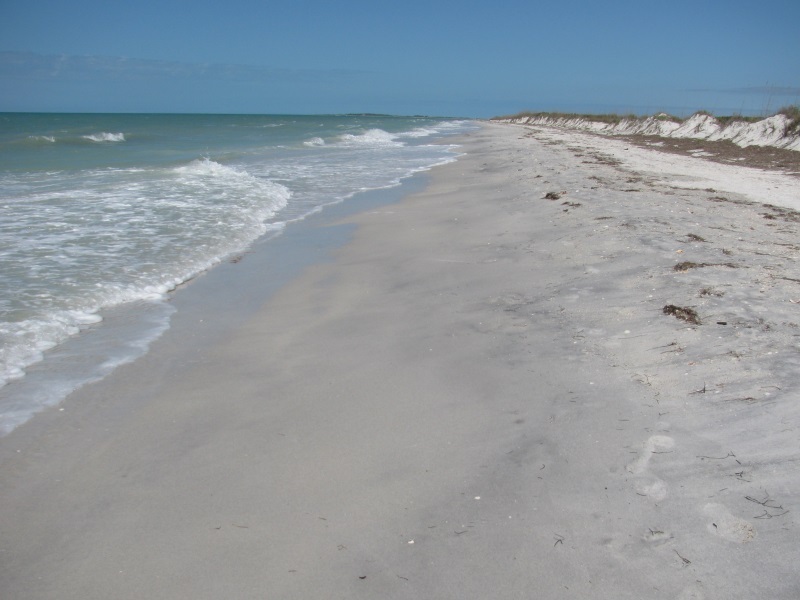 The northern tip of the island is similar to Honeymoon Island and Anclote Island, with a deposit of remarkably soft, white sand. 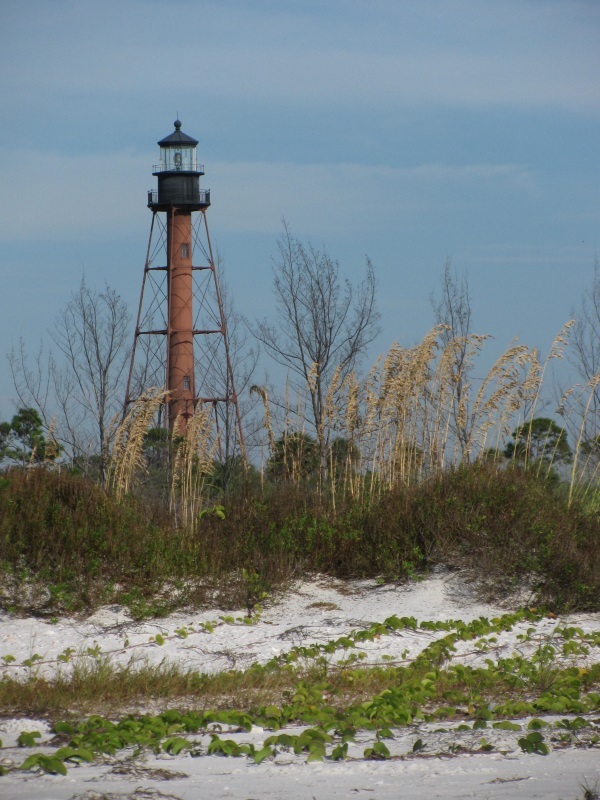 You will also find that the north end of Caladesi Island is only a short distance away from Honeymoon Island’s southern end. You will likely see dogs playing on the strip of dog beach located there on the other island. If a long walk is not your style, that’s OK. You can catch a ride on a boat from either Honeymoon Island or Clearwater Beach. Whether a ferry boat or a charter, the boat will take you to the docks at Caladesi Island, located within the water channels leading into the island interior. Beyond the dockside concession stand is the beach access and a wilderness trail. 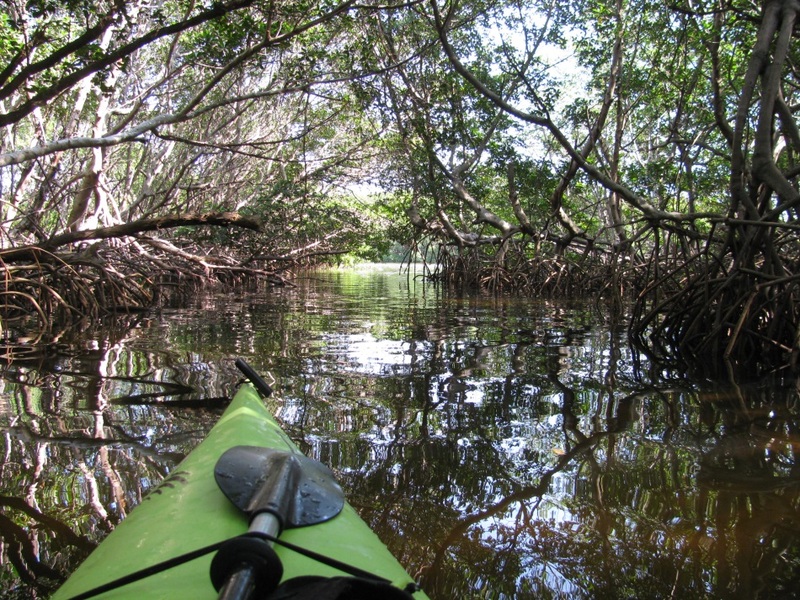 You will also find a kayak trail at the docks, similar to the one at Weedon Island. Caladesi Island wins awards on a regular basis as one of the best beaches in the United States. When you arrive, you will see why Caladesi Island has earned a top spot among the islands of the Central Gulf Coast of Florida.